Varnish Cache is a web accelerator that allows websites to maintain very high traffic and load pages faster by caching HTML, Images, CSS, etc. It can speed up a website by up to 10x. Varnish is enabled on all new shared hosting accounts. Find out more about Varnish Cache. Makes websites with static content, super fast! 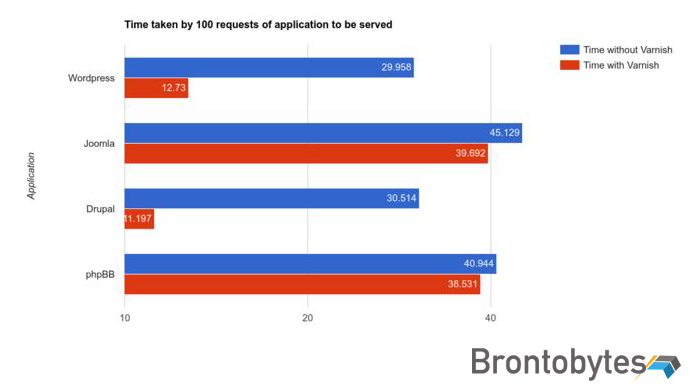 Time shown is the total time taken in sec for serving 100 requests with 10 concurrent threads.